Home Advertisements PAPPU : The Movie.... Coming soon to the cinemas near you!!!! PAPPU : The Movie.... Coming soon to the cinemas near you!!!! Nuel Chris Film Academy in association with Paul Pel Tech presents ''Pappu''. 'Pappu' is an upcoming romantic comedy with a fascinating plot. 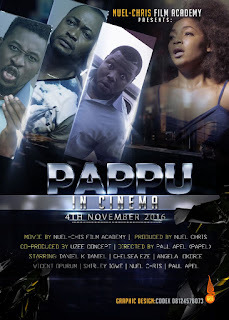 The movie is written by Pius Peters and Directed by Paul Apel (the director that delivered Mr & Mrs), ''Pappu tells the story of a Warri born area boy who is released from prison and is offered a job, as a waiter, at his uncle’s bar in the City. However, upon his arrival in the new established, he couldn’t let go of his Warri ways; causing chaos in the business''. 'Pappu' stars AMVCA and AMAA award-winning actor Daniel K Daniel alongside other top acts like Chelsea Eze, Vincent Opurum, Angela Okorie, Nuel Chris, Shieley Igwe and a host of others. The movie, scheduled to be released accross Nigerian cinemas on the 4th of November, was filmed in various locations in Nigeria and London. 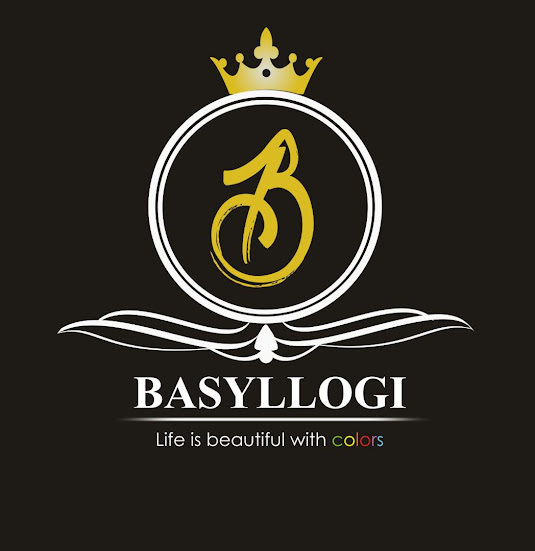 For more information, please contact: Waliu Fagbemi – 08026231441.